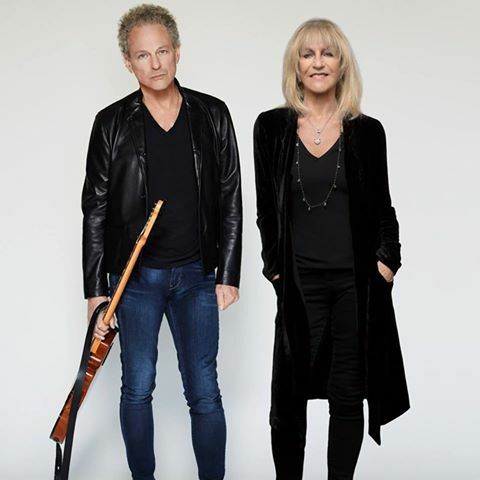 Fleetwood Mac members Lindsey Buckingham and Christine McVie are streaming “Feel About You” as the latest preview to their forthcoming self-titled debut album. The tune follows the lead single, “In My World”, as the second track issued ahead of the June 9 release of the project. "We were exploring a creative process, and the identity of the project took on a life organically," explains Buckingham. "The body of work felt like it was meant to be a duet album. We acknowledged that to each other on many occasions, and said to ourselves, 'What took us so long?!'" Buckingham McVie will support the record with a series of summer dates across North America starting June 21 in Atlanta, GA. The pair will also regroup with Fleetwood Mac to co-headline The Classic East and West festivals in New York and Los Angeles alongside The Eagles. The Eagles will headline the July 15 show at Dodger Stadium in Los Angeles alongside Steely Dan and The Doobie Brothers, with Fleetwood Mac topping the July 16 event with Journey and Earth, Wind & Fire; the same lineups will play in the same order at Citi Field in New York on July 29 and 30. 01. "Sleeping Around The Corner"
05. "Love Is Here To Stay"
07. "Lay Down For Free"
09. "On With The Show"